I added the Benefit Fine One One to my collection recently, and was completely surprised with how much I liked it. Based on first impressions, I thought it was going to be difficult to use and I didn’t want to fall for a gimicky product — again. This is described as “a sheer, brightening cheek-and-lip color for instant lift, shape, and pop.” The color is flattering and I can envision it working for everyone. 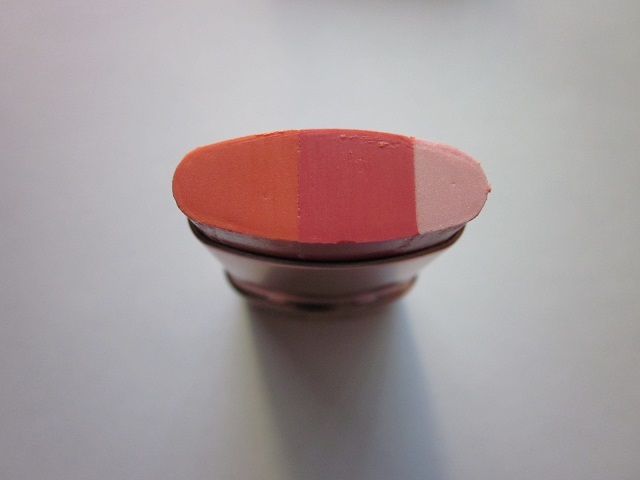 This “lip-and-cheek illuminator glides on sheer in three different shades for a coral pink flush that builds from soft and natural to bright and cheery.” I admit, the concept is unique; and, one that I like much better than Benefit’s famous lip-cheeck stains — which I like, but I find them difficult to work with. I prefer to apply this with my finger. I noticed if I apply it directly onto my cheeks, I wipe off whatever I have on underneath by the time I’ve blended everything to my liking. I just swipe my finger a few times and dot the color onto my cheeks. I blend using a small synthetic brush most of the time. However, when I’m in a hurry, I do appreciate that the product blends easily and fast with my finger. This is very easy to use. I like the concept and it’s something fun and new to try. 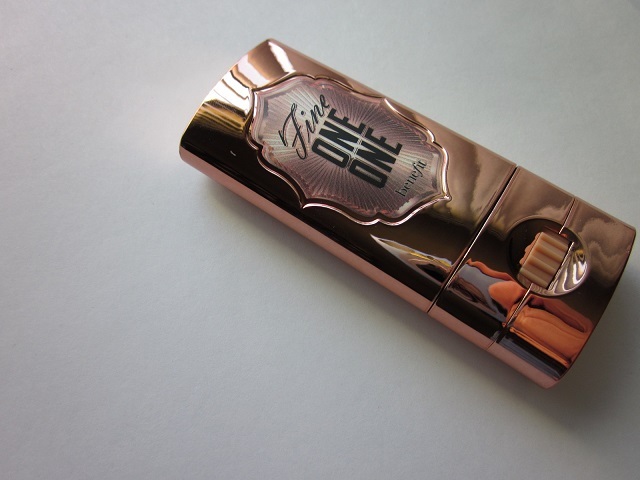 I can’t say that this product is a must-have or that it’s one of Benefit’s best products. However, for the spring/summer months when dewy and glowy skin is in, this product does a fantastic job at making you look healthy and pretty. The pop of color is really fun detail. While the color itself isn’t anything unique, the brightness does add some oomph to the face, especially if you’re going for the natural look during warmer months. 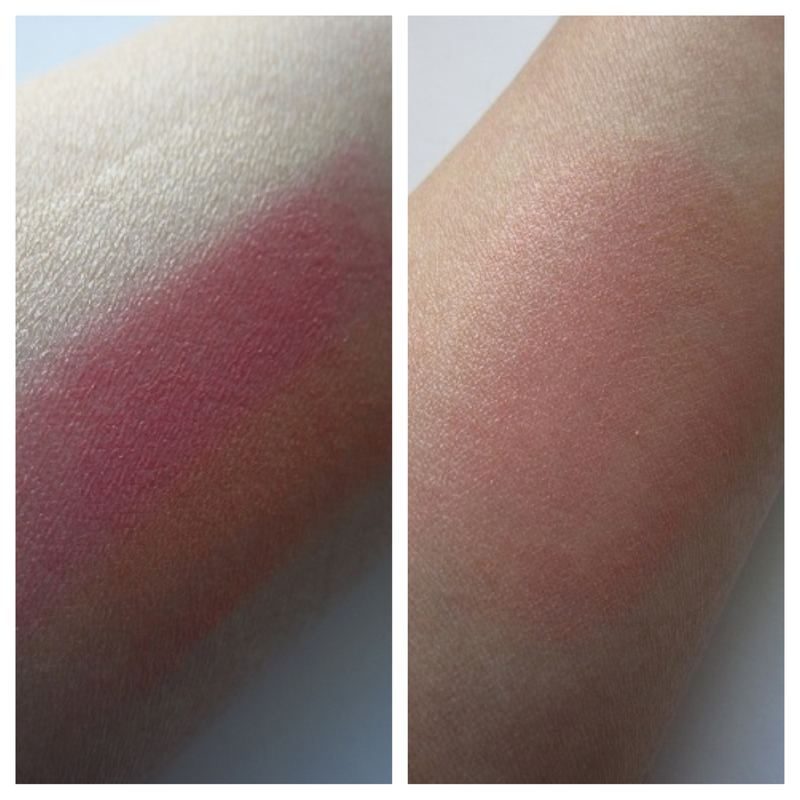 Here, I’ve swatched the product directly from the tube (left side) and you can see that the colors do distribute quite evenly. You can always manipulate the application by adding the color/shimmer that you want more of. The blended out application (right side) is quite true to color; and, if it’s too strong for you, you can always blend some of the pigment away. As you all may already know, I’m a devoted Japanese mascara user because they hold the curl all day. With American brands, no matter how much they claim to be waterproof, the curl NEVER stays — so I lost hope a long time ago. 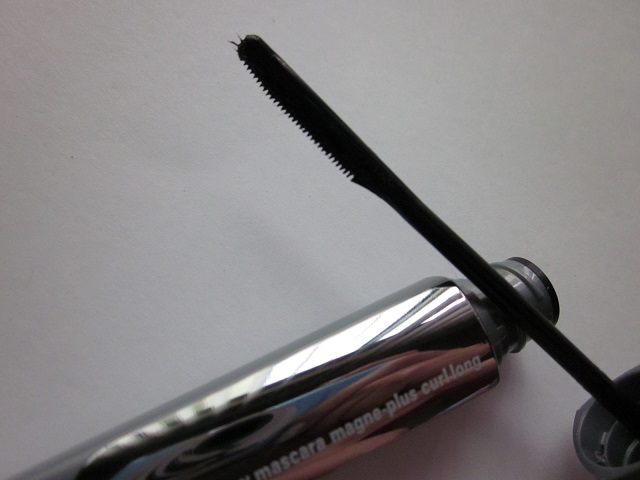 This is my second Fasio mascara, with the Ultra Curl Lock Mascara being the first. I like this brand very much. I haven’t been using the Majolica Majorca mascara in nearly a year since I’ve been trying out various other Japanese brands. I order all mine from Ebay and I’ve had no problems with the order or shipment. Because I was dedicated to Majolica Majorca for years, it was difficult to break away briefly; but, I’m thoroughly enjoying all the new brands. 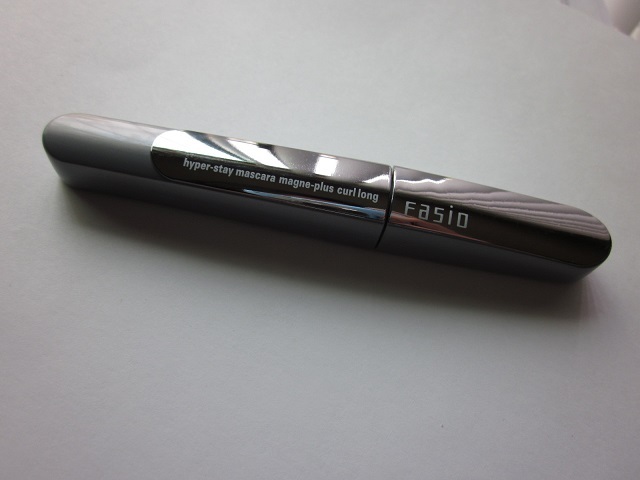 Fasio follows the same principles — in terms of mascara requirements. Above all, holding the curl is most important for me. Normally, I’m not a fan of mascara brushes that are like combs because I feel that it lacks volume. 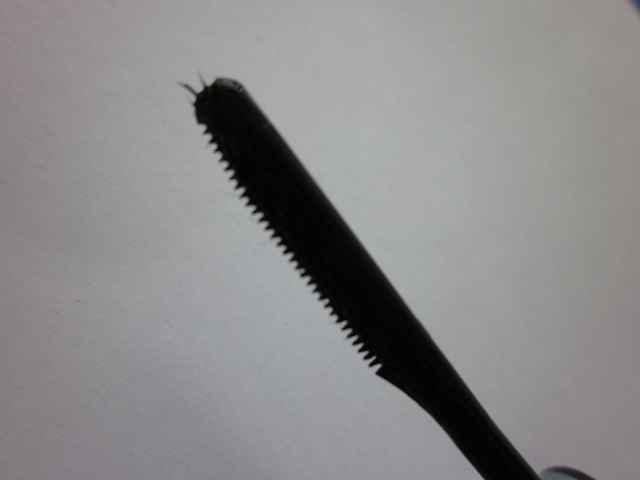 However, this comb has tiny teeth that line up nicely — making sure to grab each and every eyelash. You don’t get uncoated gaps like with comb wands. The comb-shaped brush lifts the eyelashes from the base, defining each and every lash and really opens up your eyes because of all the lift action. It’s clump free and includes “curl-setting polymers” that attach firmly to each individual eyelash to maintain perfectly curled lashes. This particular mascara has tons of fibers. If you don’t care for fibrous mascaras, this may not be for you. The fibers are small and thin and hardly noticeable, however. As the fibers attach to the lashes, you’ll create a wonder illusion of long, luscious lashes with just one coat. As with all Japanese mascaras, this is extremely powerful and will hold you curl in any weather and in any other situations. No amount of rain or tears will make this mascara run, smudge, wear off, or break the curl. 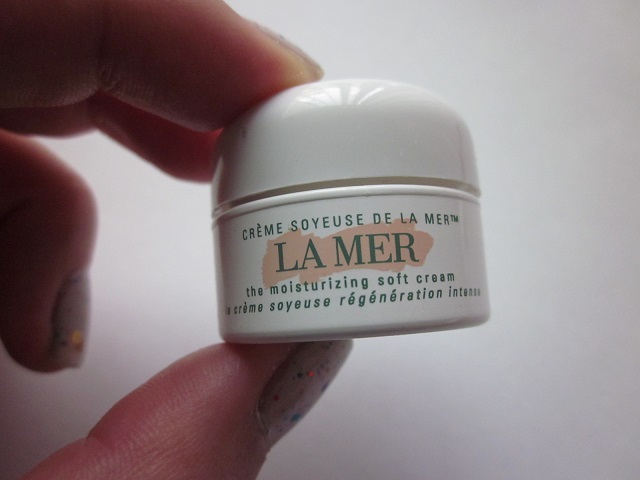 Described as a “smooth, weightless cream,” La Mer’s newest addition to its moisturizer family is called the Moisturizing Soft Cream. Now, La Mer has a cult following; and, with its steep, steep prices, this range is really the epitome of high-end/luxurious skincare. For that reason, I was never really interested in the range — yes, because it’s so expensive; and, I felt that this range was catered towards mature and aging skins. However, I’m no stranger to paying lots of money for skincare — after all, I AM a fan of the SK-II line. I requested a sample of this at Nordstrom after testing out various formulas at the counter. Nothing really impressed me and the scent was overwhelming. However, I didn’t want to dismiss it since I was just merely applying it onto the back of my hands. 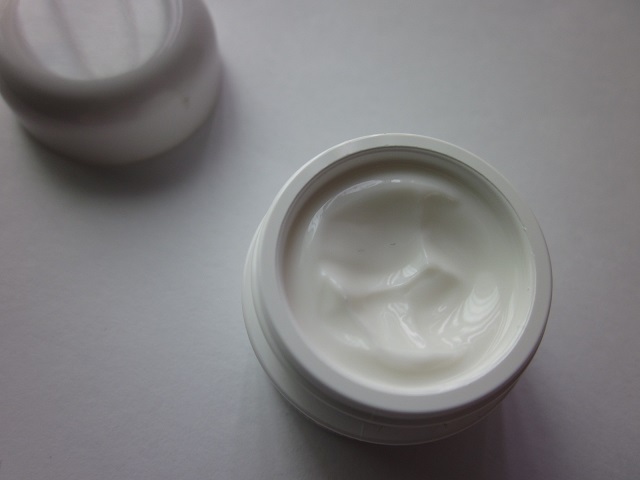 Now, aside from the mumbo juumbo, I do have to say that this moisturizer does its job — in that it moisturizes nicely and it moisturizes well. Also, my skin drinks this up like it’s been thirsty for a week! 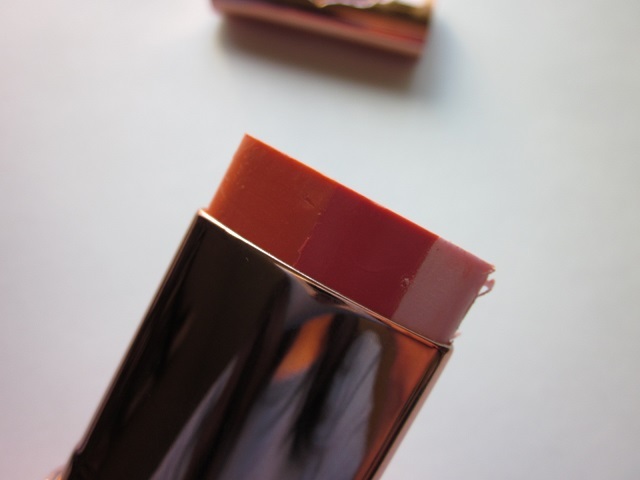 It absorbs nicely and the finish is a matte, soft feeling. It feels kind of like a primer to me. But the smell is outrageous and I’m not even that sensitive to scents. The overly powdery ‘grandma’ scent is unpleasant and it doesn’t disappear as the day goes on. The soft, weightless texture is nice because it feels fluffy. I didn’t have any negative reactions when I used the product; but, it didn’t work wonders and miracles either. I just figured for the price, it should fix up my skin so nicely that I shouldn’t need foundation or concealer. I should just look amazing with this one moisturizer. But, I didn’t…and all it really did was moisturize. But you can get that from any decent moisturizer for way, WAY cheaper. I liked the sample and used it all up. But when it was gone, I didn’t miss it or yearn for it — so, to me, that meant that this was a no-go. I don’t want to blame the product, however, since I don’t have any major skin issues like uneven pigmentation, wrinkles, and deep-set lines. I’m sure when the time is right for me to use this range/formula, it may yield more results. For now, all I can say is that it felt nice and I felt fancy using it. But I really can’t justify paying that much money for something that sort of did nothing. I think this will work best for those with dry (and really dry) skins; and, those with more mature skins. Retails for $150.00 USD for 1 oz. Retails for $275.00 USD for 2 oz. 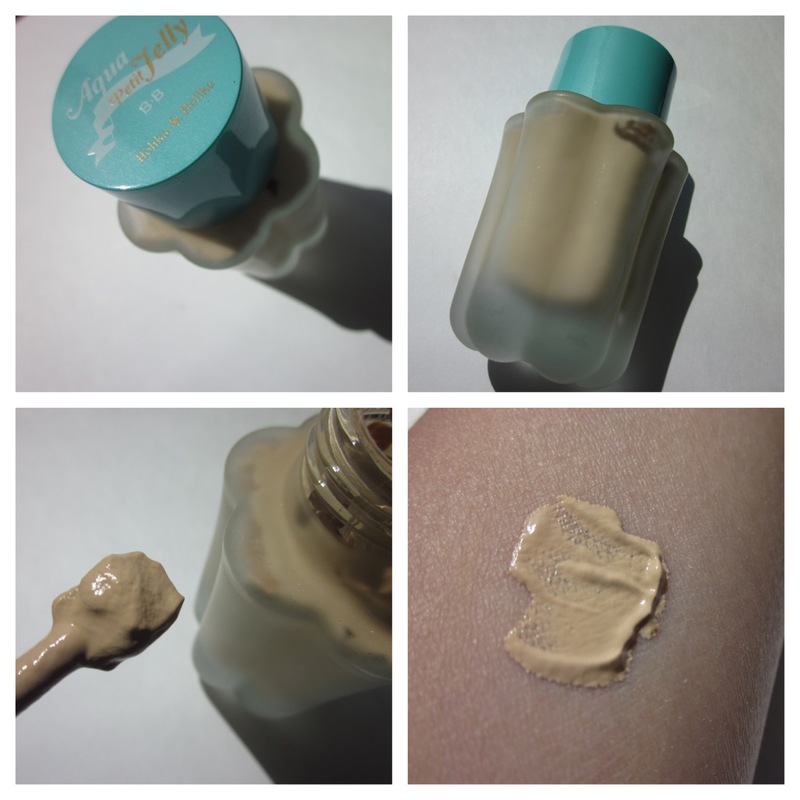 While on my BB cream kick, I purchased the Holika Holika Aqua Petit Jelly BB Cream in shade no. 1 on eBay. I never doubt Korean or Japanese BB creams, so it’s fair to say that my expectations were high to begin with; and, I assumed I’d like everything about the product anyway. Lol. Let me begin by saying that this is available online only, so you’ll have to search eBay or Amazon. I’ve seen this BB cream priced ridiculously, so I’d shop around to see which seller has the best price. 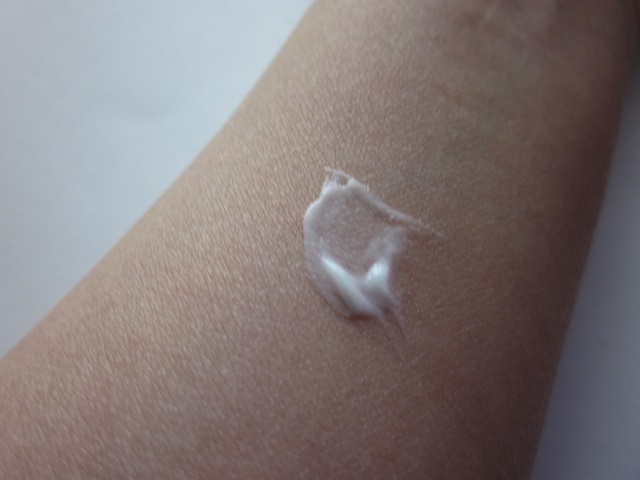 The texture of this BB cream is moussey, which is quite different. The attached spatula comes in handy since the bottle is shaped funny, and because the packaging is not like traditional BB creams where it comes in a tube. There’s a light scent that’s very pleasant, but it’s so light that it shouldn’t be a deal breaker. This BB cream provides very good coverage — pretty much medium; and, you could build it from there if you’d like. I don’t need concealer or powder when I use this product — and that makes it very convenient to use. A little goes a long way and I think it’s best to use a synthetic buffing brush to apply this product. It blends so quickly and easy to work with, I’ve applied this using my hands with no mirror before! As with all Korean/Janpanese BB creams, this comes in only two shades and both are quite fair. It’s great at pore concealing, specially the nose area; and, all redness and pigmentation will completely disappear. I really like this product, but I dislike the packaging because it’s glass and bulky. Other than that, the finish of this product is totally worth it. Your skin looks like velvet — like you’ve been photoshopped in real life or something. 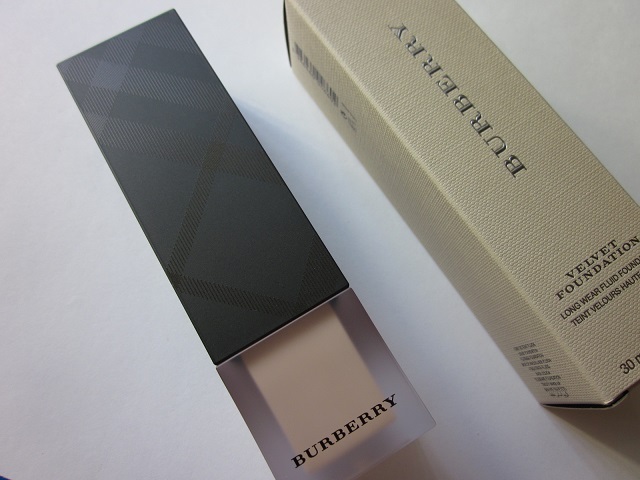 I’ve had my eye on this baby for a long, long time and I finally was able to get to a counter to see the Burberry makeup line in person. I didn’t want to have to deal with the hassle of ordering online, and I’m so glad that I waited because viewing the Burberry counter in person was awesome! – Long wear: Innovative, High Performing Pigments technology creates lasting, smudge-resistant true color. – Second skin effect: The weightless gel formula melts onto the skin for enhanced breathability. – Hydration: Emollient oils and a unique amino-acid derivative guarantee continuous hydration. Wild rose provides additional moisturizing benefits. – Weatherproof: A silicone formula with lotus flower extract repels weather, protecting skin against the elements. UV filters protect skin from damaging environmental exposure. 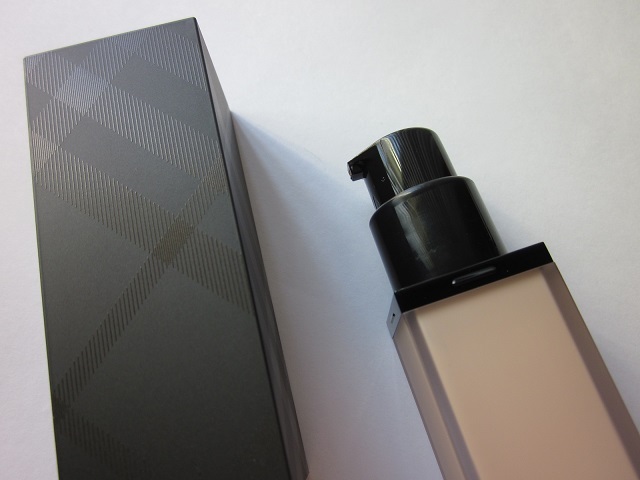 The packaging is beautiful — just like all things Burberry. The hard plastic feels sturdy and luxurious without being glass, and the pump nozzle twists to lock inside the cap. I believe the luminous foundation’s bottle is shiny, while the Velvet one is matte (kind of like the formulas). 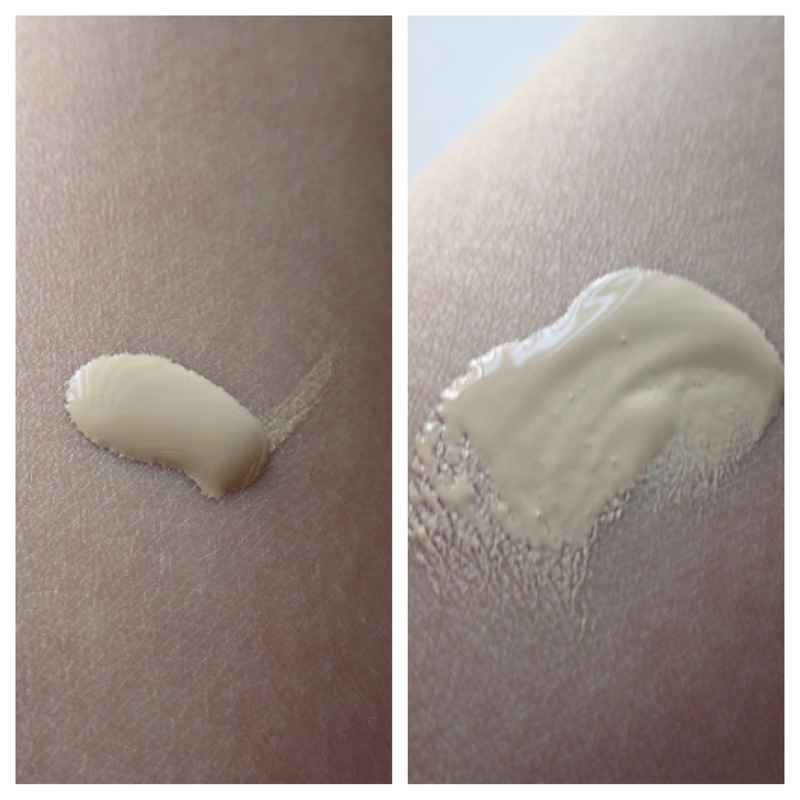 The scent of the foundation is powdery but light and is hardly noticeable. The formula is pigmented and runny, but provides medium to builable coverage. I chose the shade 201, which is the lightest shade in the range. However, it runs a touch too light and too peachy. This foundation DOES oxidize and that’s the only reason why I can get away with this shade. Shade 202 was pink and shade 203 was decently beige — but the tone itself was too dark. I noticed that there’s gaps in the available shades: it goes from really light to pink to dark beige to orange as the shades get darker. I feel like a lot people will end up being somewhere in the middle. The finish is truly marvelous — perfectly luminous without looking dewy or greasy; and matte without looking flat or overly done up. 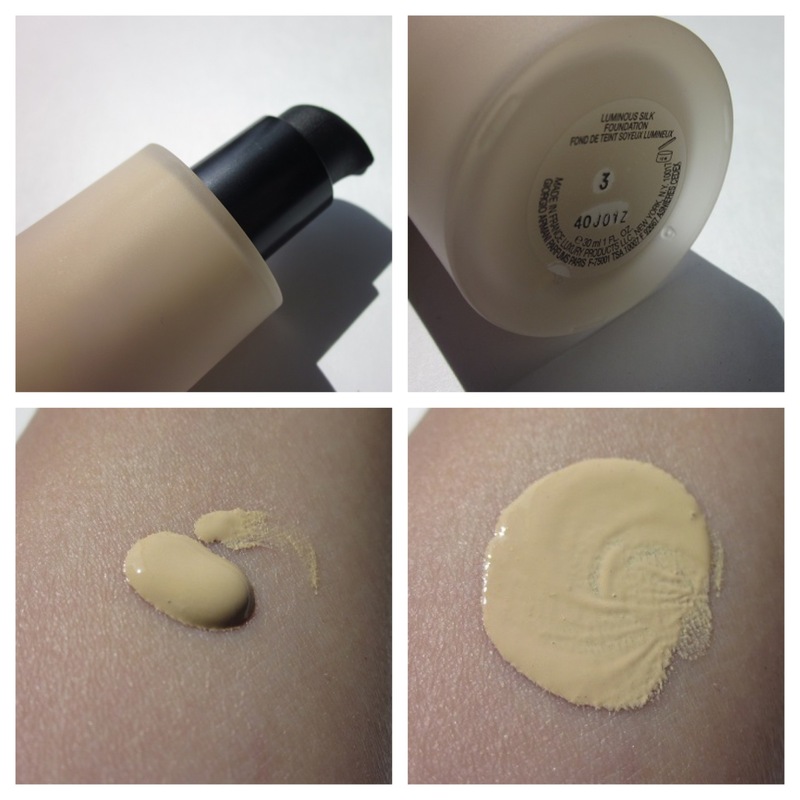 This foundation requires no powdering or touch-ups for me; and, I believe this is truly a heaven-sent for those with oily skins (or an oily t-zone). The texture of the formula is easily blendable and spreads easily onto the skin. The oil-control is amazing and I highly recommend it for that reason — because of the oil controlling properties, I can agree that this foundation is long-lasting. I purposely wore this on a humid day, with lots of long driving and some sweating from being outside in Texas. It wore nicely and even as my oil broke through, it didn’t look gross. I just wish there were more shades available, because I think this would work for so many people. However, because there are only 8 shades available and they don’t seem to progress consecutively in the color range, I fear that there will be many who will struggle to find the perfect shade. In creating the perfect canvas, concealers can do wonders for your skin and the appearance of it. While choosing to even use a concealer to begin with is a personal choice, different parts of your face may need a different shade or formula — and, the excerpt I’ve found (below) can help you make some good concealer choices. Normally, foundation is enough for me; but, occasionally, it’s good to have something handy that will do some extra covering-up. I rely on concealer the most when I’m feeling lazy and I want to skip foundation. Ideally, it’s a good idea to have on hand an undereye concealer, regular facial concealer, and a brightening concealer. For the undereyes, a peachy salmon color is best to counteract various blue, purple, and greenish undertones. Whatever your personal needs may be, despite the brand, choose a formula, shade, and texture that best suits you. For blemishes and other facial pigmentation, a waxier formula that won’t budge or sweat off is essential. 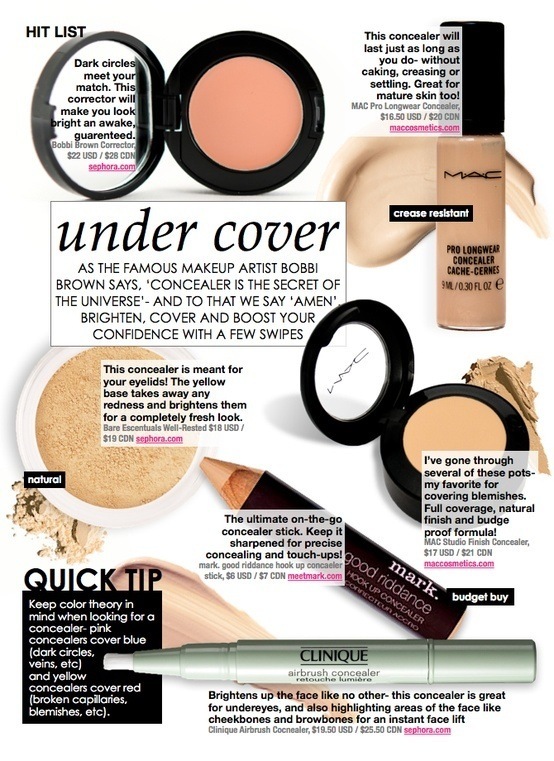 Nowadays, concealers are designed to brighten spots and shadowy areas on the skin. In essence, everyone could use a little pick-me-up to help them look more awake and healthy. Light reflecting ingredients are trending now — whether it’s in foundation, concealer, or powder — so, it’s good to know what’s out there and the pros would choose as well! After finishing shade 4, previously reviewed and posted here, I re-purchased this iconic foundation in shade 3. I try to give all my favorite foundations equal attention by keeping them on rotation. This is also because I’d like to use up what I’ve purchased. Every now and then, I’ll neglect a particular foundation for whatever reason and re-discover it later. :) This — is one of those foundations. Previously, I purchased shade 4 and wasn’t too happy with it. I went back and forth between shade 3 and 4 and opted for 4 in the end. After awhile, I felt that it wasn’t that good of a match for me, but by then, I’d already thrown away the box and the receipt. Boo. I finished the foundation anyway and re-purchased it in shade 3. I’m very happy with the shade and the texture and formula are still the best. I started wearing this without primer and like it even more. When I do wear primer, I just apply it to my nose and chin. 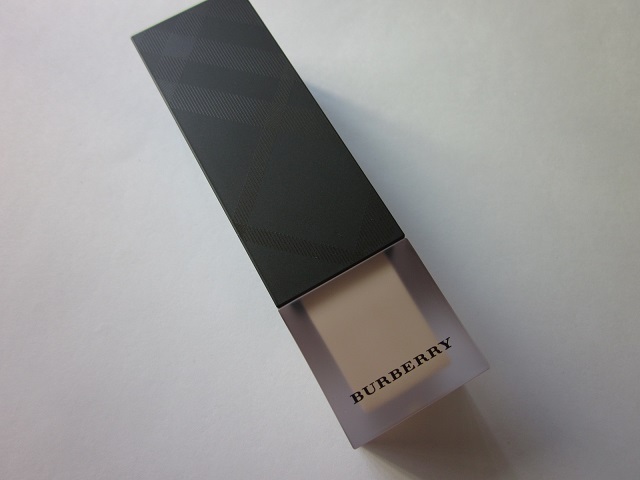 I feel that this foundation performs perfectly without the help of a primer and the finish is luxurious and luminous. I love the weightless-ness of it and you can’t go wrong with it. Since re-discovering it and re-purchasing it, I’ve been using it no-stop. I don’t tend to re-purchase foundations because I like buying new ones. But this is a classic favorite to have on hand in your collection. Totally worth the money. Apparently, the packaging will be changing soon. I like the sleekness of this bottle regardless. I’m kind of over Chanel foundations because I’ve purchased them and used them regularly; but, I’d choose the Luminous Silk over Chanel any day. I’m interested in the Maestro and contemplated purchasing that instead of this one, but the time will come for that one in due time. As for the shade difference — it’s VERY slight. In fact, the only real difference is that I feel that shade 3 is brighter because it’s a bit more peachier than shade 4. Shade 4 isn’t all that dark, but it tends to run more yellow than shade 3. For pale, fair Asian skin tones, shade 3 or 4 would work — but if you’re yellow-heavy, I’d lean more towards 4. I like having some peach in my shades because I think it balances out my tone more since I’m not all that yellow on my face. What’s your favorite foundation? Have you re-purchased any? Skincare is such an important part of one’s makeup routine — after all, no amount of fancy, high-end makeup will look and feel beautiful when applied on skin that hasn’t been taken care of, right? While I don’t believe that you need to spend a fortune on expensive skincare, it’s more important to use what works for you. For an example, I’ve tried Chanel and La Mer skin cleaners; but, at the end of the trial period, I always come back to my trusty Cetaphil cleanser I can get at the drugstore for a few bucks. I, personally, don’t skimp on skincare products and I don’t mind spending money on them. However, that’s my personal preference; and, I know that you’ll have yours. 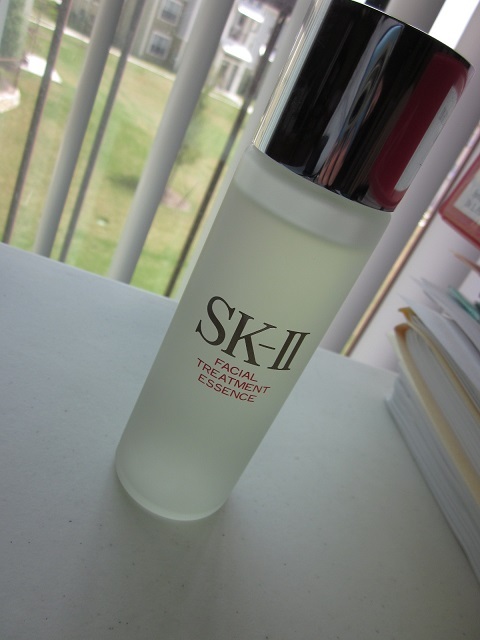 Today’s post is about the SK-II Facial Treatment Essence that’s been considered some people’s “holy water.” So, is it worth the price? The thing about having naturally glowy skin is to keep it nicely exfoliated and hydrated. This essence does both. Because it’s so expensive, I don’t use a cotton pad to apply this — and, it’s not recommended that you do so. I sprinkle a bit in my palm, I rub my palms together, and them apply it onto my face. I pat my face lightly for faster absorption and then move onto other skincare items. This is my first step. For me, the slight scent of fermented pitera doesn’t bother me; and, either way, it disappears quite quickly. I use this only at night to preserve the product and a little bit of it goes a long way. When I first started using this, I religiously applied it to my skin morning and night for a few days. On a daily basis, I noticed little red bumps that weren’t pimples; and they could easily be concealed with foundation/concealer. I noticed that it would continue after a week of using the Facial Treatment Essence so I started to only use it at night. However, the little bumps continued. For a few days, out of paranoia, I stopped using the Facial Treatment Essence and the red bumps stopped appearing. During this time, I contemplated taking this back — but I had briefly read somewhere that a mild reaction is normal; and, that some people reported forms of breakouts. After a few days, I returned to using the Facial Treatment Essence and reserved it for only my nighttime routine. The red bumps never returned and I noticed my skin looking so clear — of pigmentations, pores, lines, and dry areas. I noticed that the blackheads on the nose reduced and skin felt and looked smoother and hydrated. I continued to use the Facial Treatment Essence at night for 2 months — and MAN, believe the hype. When your skin is free of debris, dead skin cells, and patchy flakes — you’re left with only your skin but better. As a process of the trial period, I deliberately stopped using the Facial Treatment Essence to see what would happen. While there were no adverse reactions, I could tell my skin looked dull and it just didn’t make me happy. I went back to using it and purchased the Facial Treatment Clear Lotion, which is an actual TONER to use BEFORE the Facial Treatment Essence. Used together, I think yields the best results. However, it’s stinkin’ expensive. For now, I’m enjoying the products and I appreciate the results. I believe that it’s worth the hype and is a way to keep your skin in tip-top shape. My final verdict is that it’s not a necessity and it’s not worth having to pay nearly $200 every few months. Again, it depends on what your skin needs and what you’re willing to spend your money on. I’d like to finish my bottle and see how long it lasts before I decide if I want to re-purchase. My recommendation is to try a sample before purchasing, or purchase it through the Nordstrom website because they have such a generous return policy. Saccharomycopsis Ferment Filtrate**, Butylene Glycol, Pentylene Glycol, Aqua (Water/ Eau), Sodium Benzoate, Methylparaben, Sorbic Acid. *Pitera. SK-II products are made in Japan. 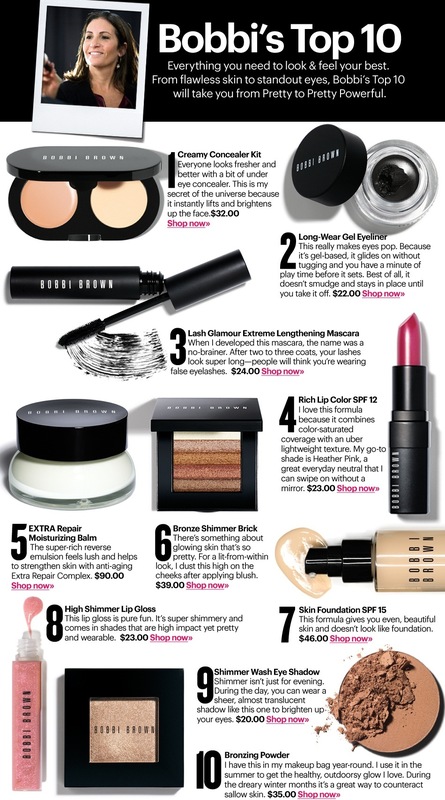 Bobbi Brown’s Top 10 Products! Normally, my ‘night makeup’ is just like my ‘day makeup’ — with some minor add-on’s: lip product + additional eyeshadow. As always, I like to emphasize glowy skin so I switched things up a bit. To start off, I moisturized with the Neutrogena Healthy Defense Moisturizer SPF 50 and followed it with Benefit’s POREfessional. 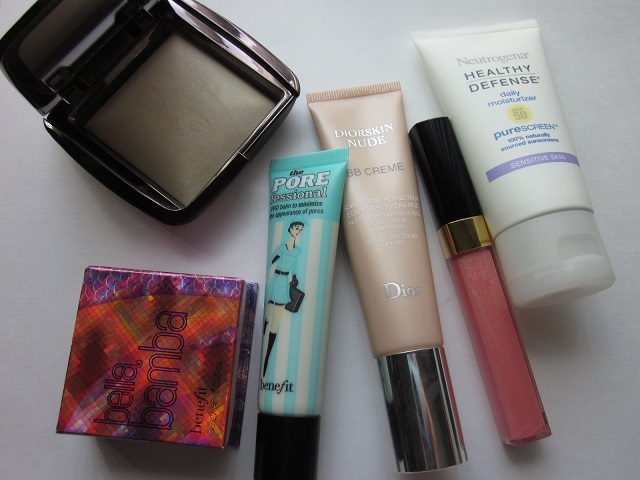 After prepping my skin, I used Dior’s BB Creme in fair and skipped concealer. To set everything, I dusted on Hourglass Ambient Lighting Powder in “Diffused Light” and added Benefit’s Bella Bamba blush; I skipped highlighter because this blush is already brightening and glimmery (not to mixed up with shimmery). My lash and eyebrow routines are the same, but I will be updating you on what I’m using since the products have been changed around. My goal with the next face of the day/night is to post everything — like you requested!